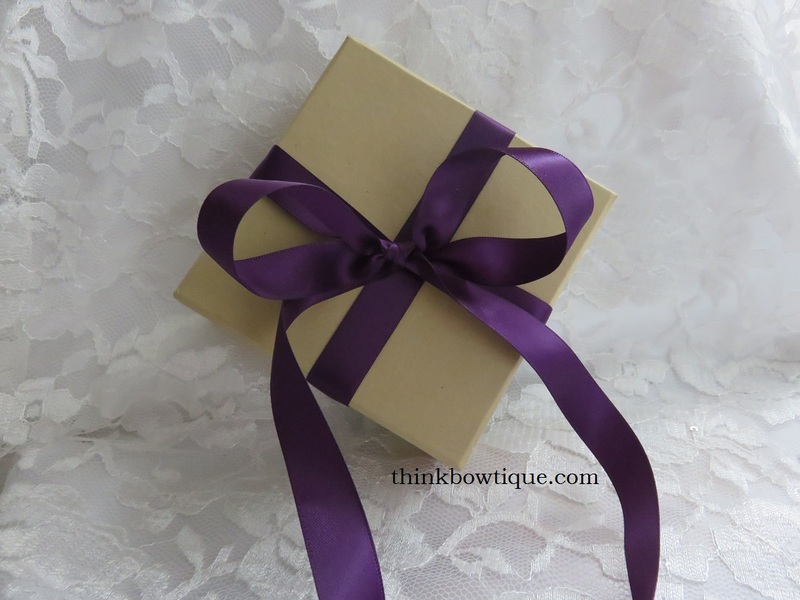 Tie a bow with ribbon. 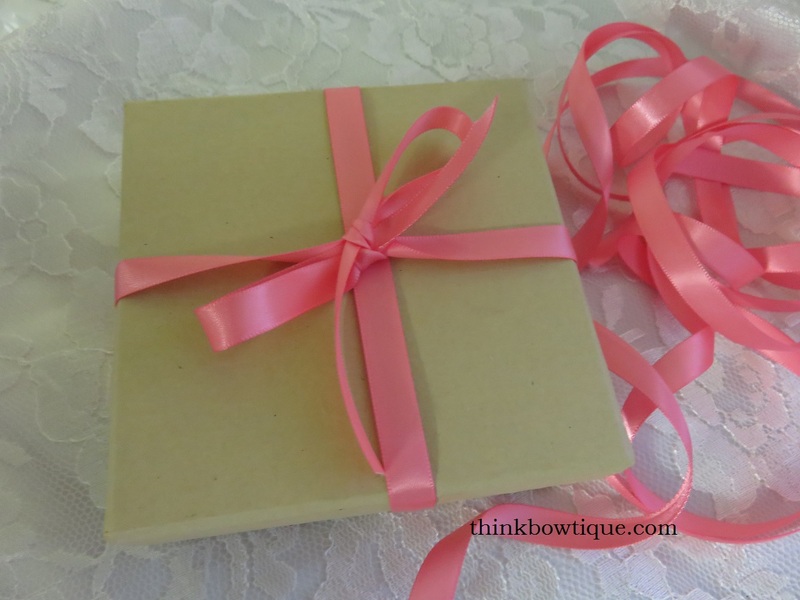 A pretty little bow can dress up a plain gift box or create a simple hair bow for a clip. 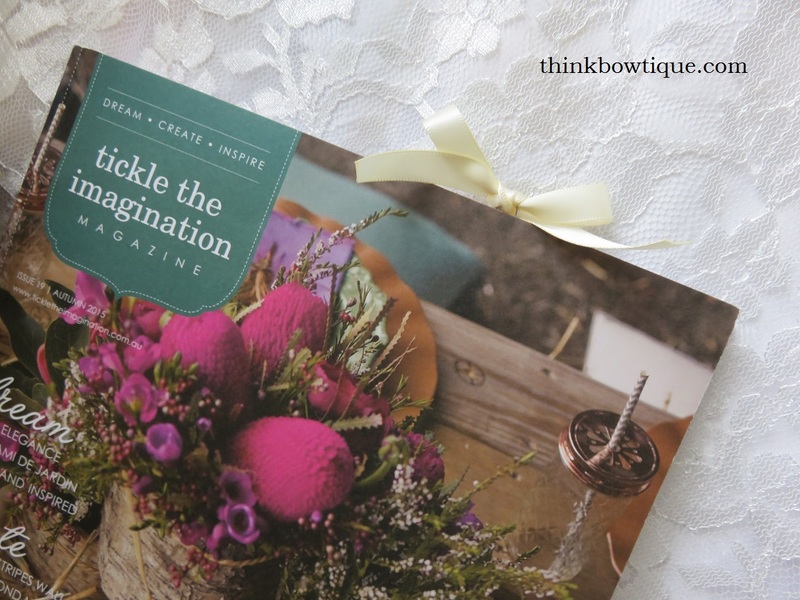 Add a bow to a dress, shoes or bag there are so many projects you could use a simple bow for. You can keep the loops flat or open them out. 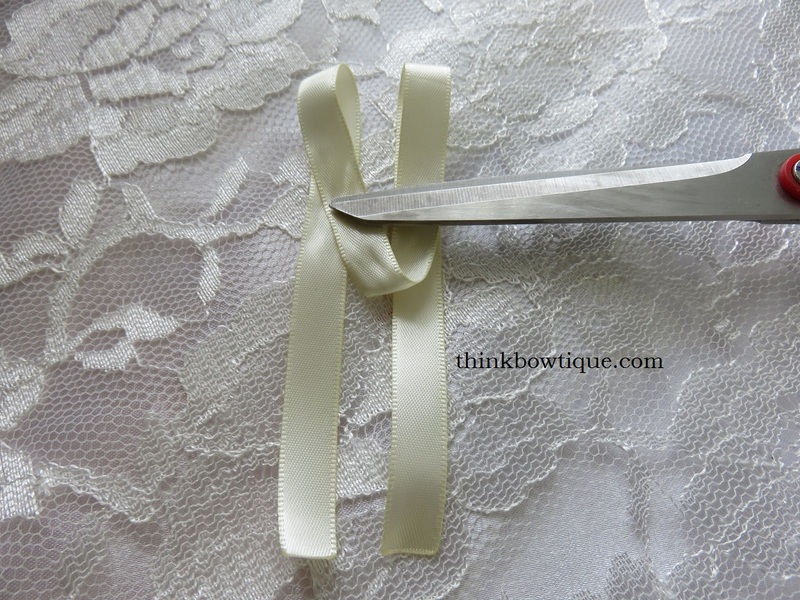 To tie a basic bow you will need a length of ribbon. 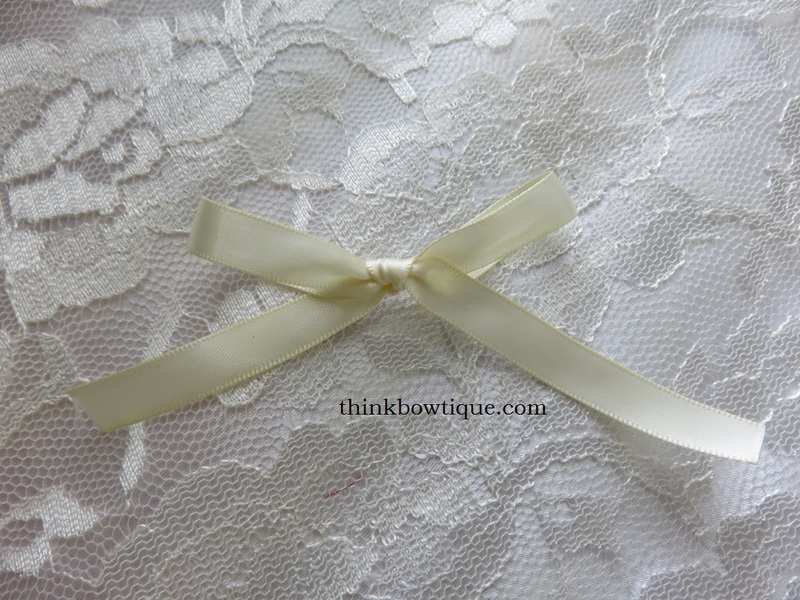 You can use satin ribbon or grosgrain ribbon. 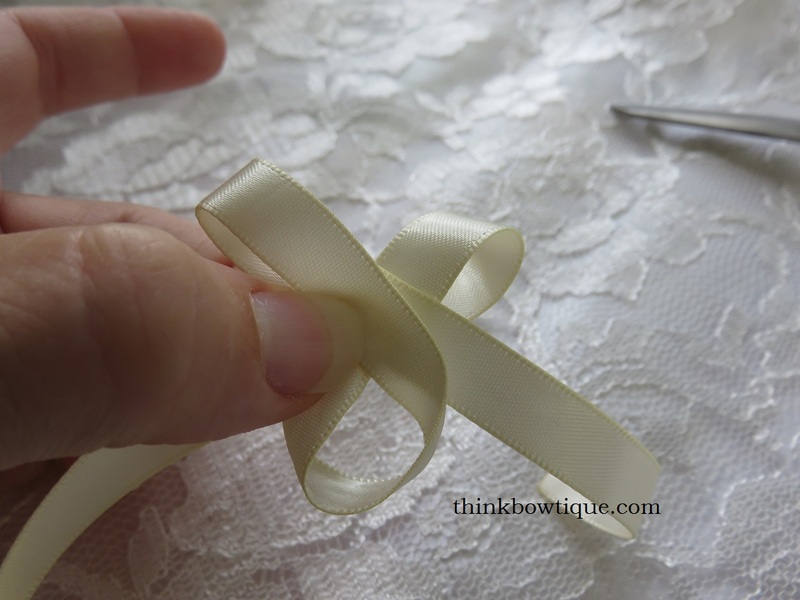 You can take a length of ribbon tie the bow and then trim it or work out about how long you would like your loops. For this small bow I am going to have my loops about 4cm. So I will take 4 x 4 = 16cm and double it. 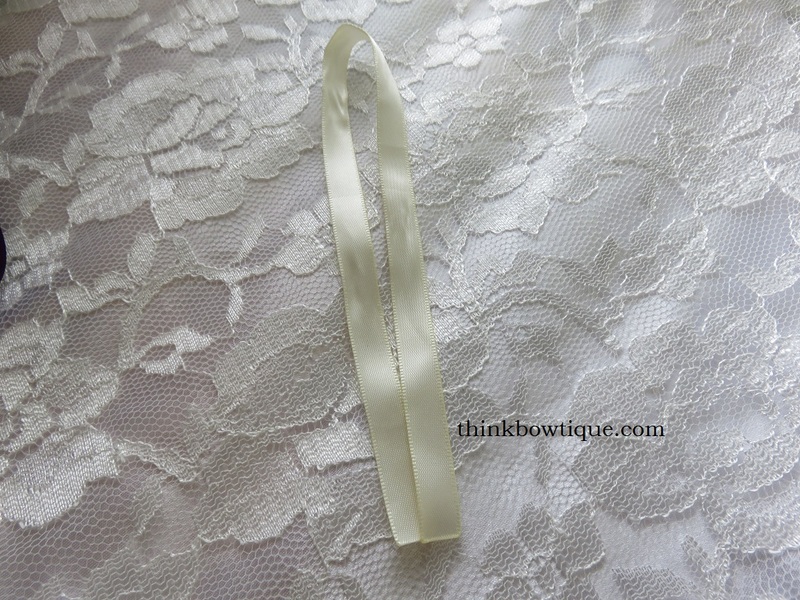 I will need a 32cm length of satin ribbon and a pair of scissors and a lighter to seal the ends of the ribbon. 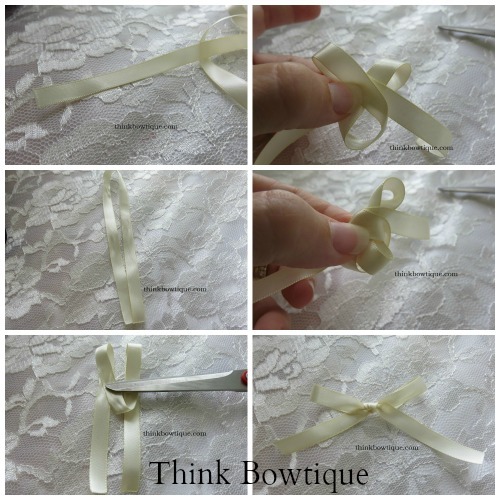 Fold your length of ribbon in half. Now take the folded edged and fold it back to about a third of the way. So you have two loops that are about the same length as you tails. Does not need to be exact. You now have 2 loops. Holding your two loops, your tails are at the back. With this part you cross one set of loops over the other on top. Now it does not matter if you put the right loop on top of the left loop or the left loops on top of the right. That part has more to do with if you are left handed or right handed and what feels more comfortable to do. I started doing it with the right loop over the left. When you cross the loops it makes a hole at the bottom. Take the loop you have folded across the top and tuck it over and down into the hole. Then pull it through the hole. Hold both loops and give them a pull, then you can pull a little on the tails and the loops to get it just how you would like. You can now twist your bow at the base of the loops to sit flat on top of each other or open them up to show loops. You can trim your tails on a angle or with a V. Place the flame of your light close to the ribbon ends but not touching to seal the ends. Now how to attach your bow to a paperclip. 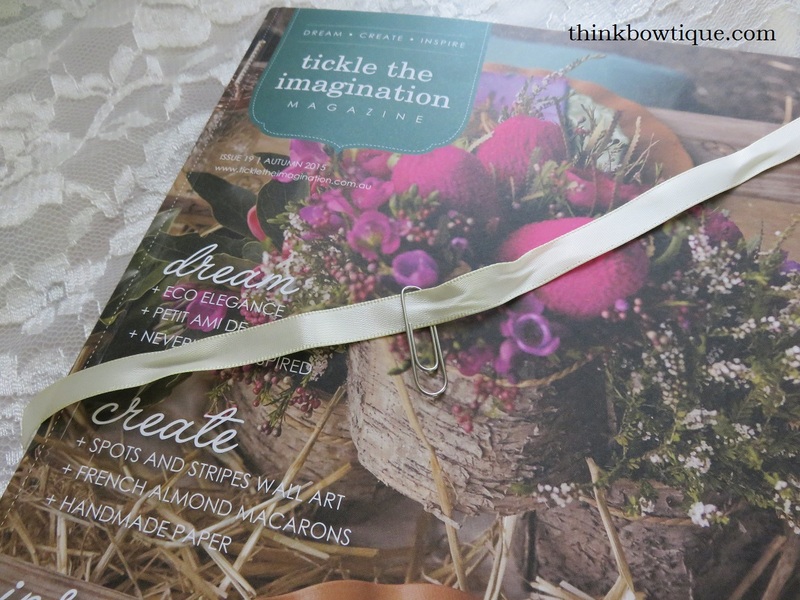 Feed the paperclip to the centre of your ribbon. Now follow the same steps as above. 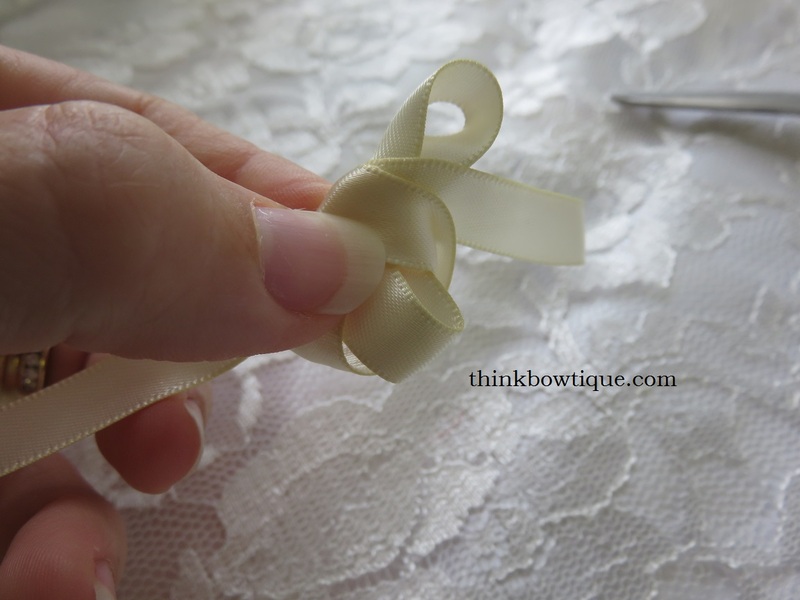 Fold your ribbon in half, then down to about a third, cross your loops and feed through the hole at the bottom and pull the loops. 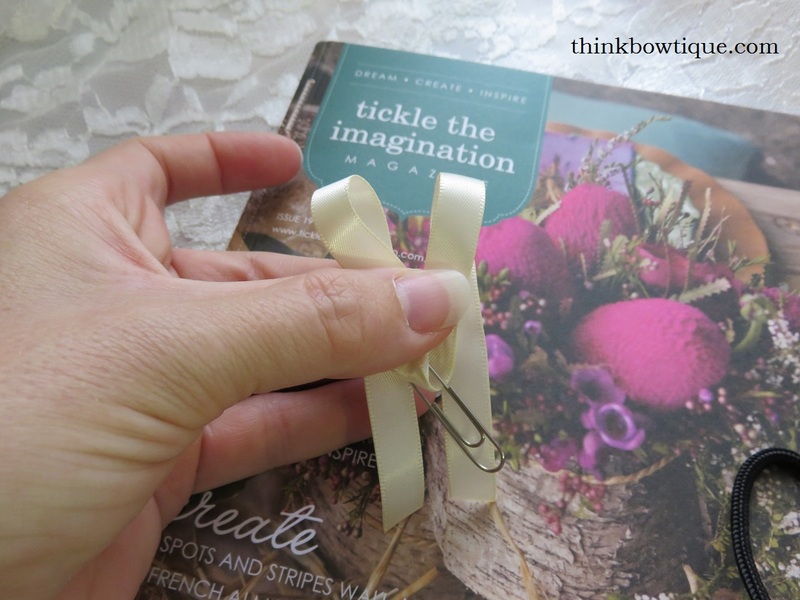 Use your pretty bow paperclip in a book or magazine. 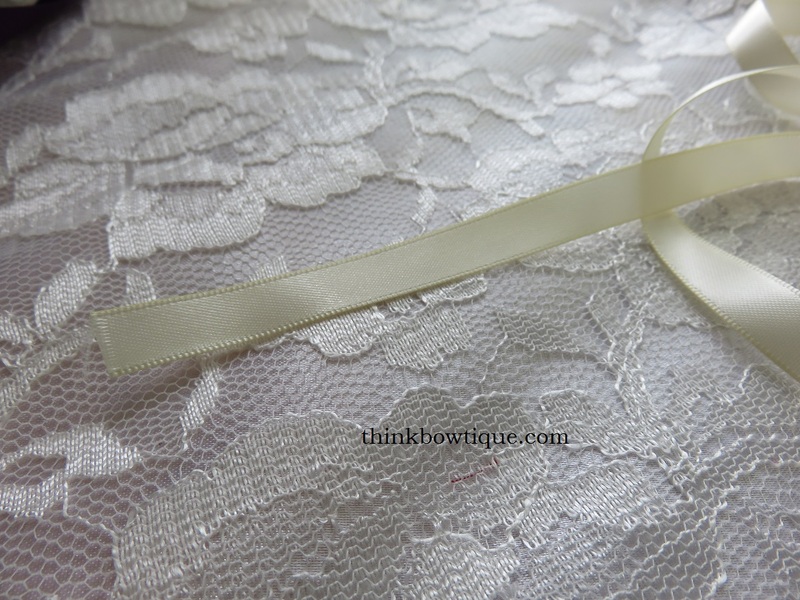 Need satin ribbon or grosgrain ribbon for your bows, then you should pop over to Think Bowtique’s online supply store and check out the huge range or ribbons in both a large variety of colours and widths.